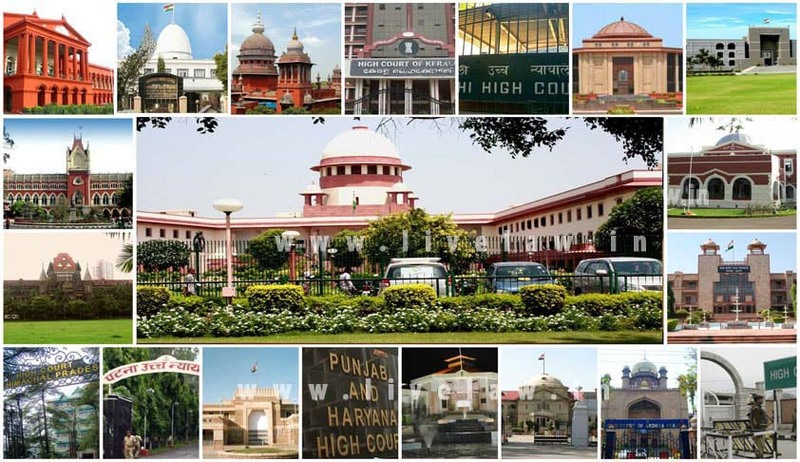 The Government and the judiciary have reportedly agreed to invoke Article 224A of the Constitution of India to appoint retired Judges with proven integrity and track record as Judges of High Courts, in order to tackle rising pendency. The decision was taken at the meeting of the Chief Ministers- Chief Justices Conference held in April and approved six months later. “Subject to integrity, suitability and performance of a person who has held the office as a judge of the high court, the provisions of Article 224 A can be invoked to deal with the extraordinary situation involving the large pendency of civil and criminal cases in the high courts,” minutes of the meeting stated. The provision empowers the Chief Justice of the High Court, with previous consent of the President, to request any person who has held the office of a Judge of that Court or any other High Court to sit and act as a Judge of the High Court for that State. As per the minutes, appointing retired Judges would in High Courts would aid in achieving ‘five plus zero’ pendency, which seeks to ensure that cases pending for more than five years are taken up on priority basis and pendency of such cases is brought down to zero level. Further, the State Governments would be urged to increase the cadre strength of District Judiciary at the rate of 10 per cent per annum. States would also be asked to fill up vacancies of jail staff on a “mission mode” basis. Out of the 24 High Courts, 15 are working on less than 65% of their approved strength, considerably waning the working capacity of the Judiciary. Allahabad High Court has the largest number of vacancies, standing at 83. It is hence currently working at less than 50% of its approved strength, along with the High Courts of Hyderabad and Patna. High Courts of Meghalaya, Tripura and Sikkim are functioning with 1 vacancy each. 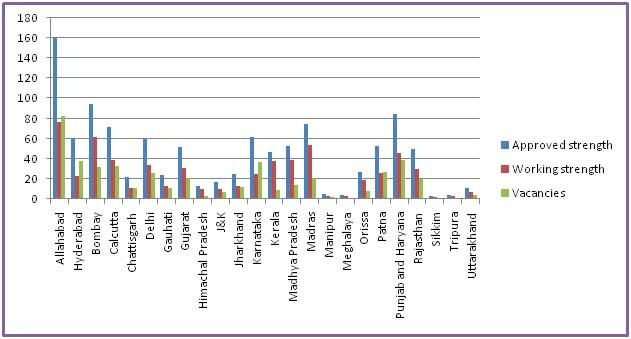 Further, even though Punjab and Haryana High Court has the second largest approved strength, it is working at 54% of that strength. With the High Courts functioning at 58% of their approved strength, the dream for reducing the pendency of cases is unlikely to materialize in the near future.